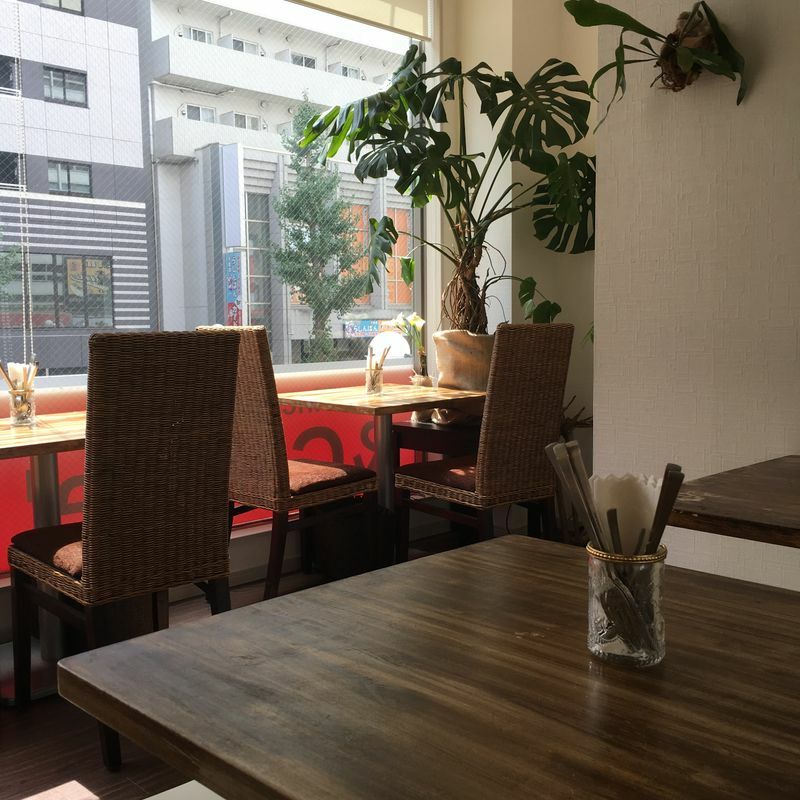 &Chene is a cafe and bar located only minutes from Keisei Chiba Chuo station. Despite being stuck on the second floor above Go Go Curry, up a narrow staircase at the side a main road, it manages to stand out with a brilliant red sign. 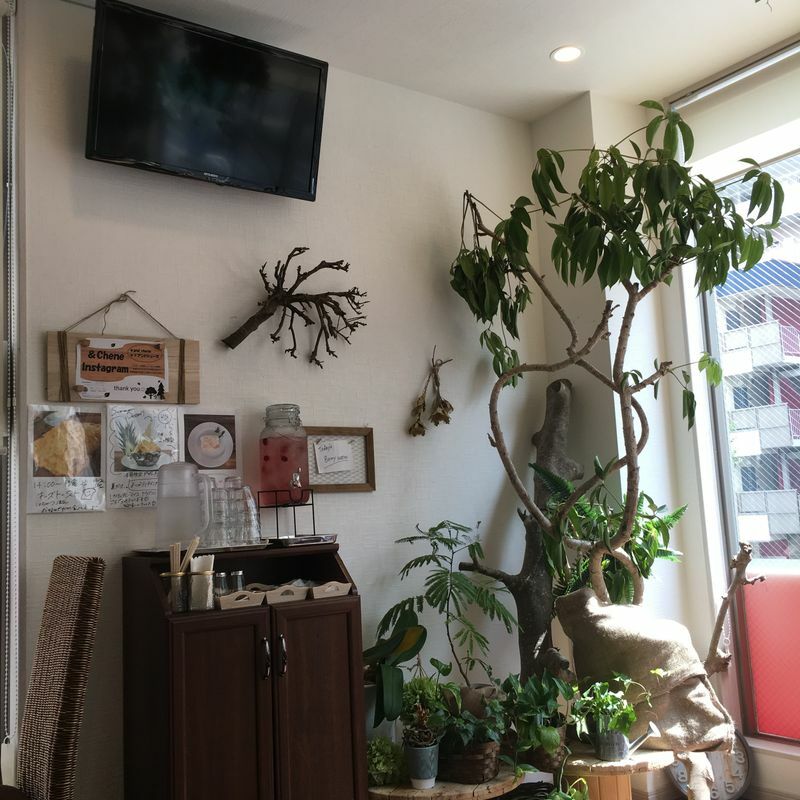 The atmosphere inside is ambient and the decor is lovely with lots of plants both real and plastic and plenty of seasonal decorations. Seating is limited but it is still comfortable, designed to maximize the limited space. 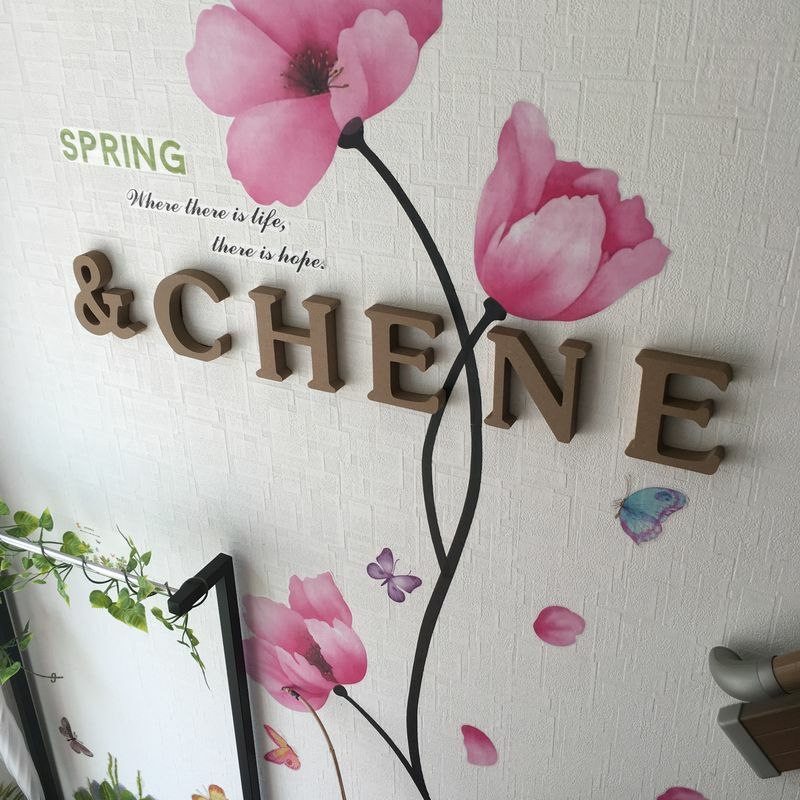 &Chene is pretty new, having only opened in July 2018. There don’t appear to be many staff (yet!) and there aren’t that many options on the menu. What there is, though, is delicious. 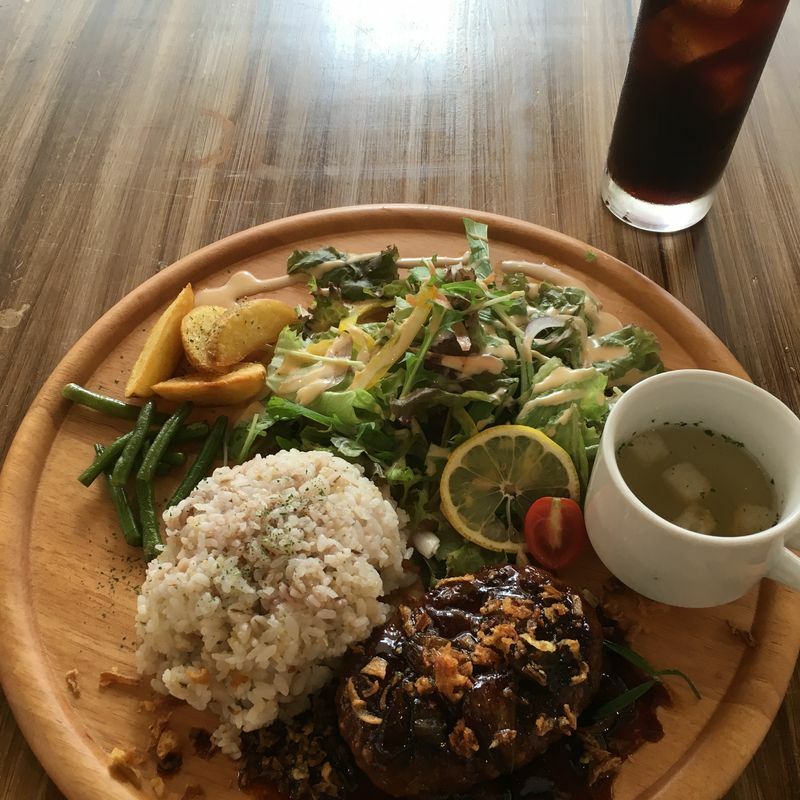 Lunches are presented on large wooden plates and made up of a main dish, such as Japanese hamburg, roast beef and minced meat patties (menchi katsu), and lots of side dishes. There’s rice laced with grains, a salad with a creamy, mild dressing, ridiculously good potato wedges, flavoursome soup and even the bonus prawn/shrimp cracker tastes great! To top it off, I think this place is excellent value for money. All of the above costs less than 1000 yen and adding a drink only costs a couple of hundred yen more. There’s complimentary water, of course, with a choice of plain and herb-infused, and there are various special days with free drinks and the like, such as ladies day and, yes, men’s day. Even the point cards are pretty generous with rewards. I love this place. Even though part of its appeal is how quiet it is, I hope it continues to grow so it hangs around! If any of this review appeals to you and you happen to be in the Chiba Chuo area, then please consider stopping by!